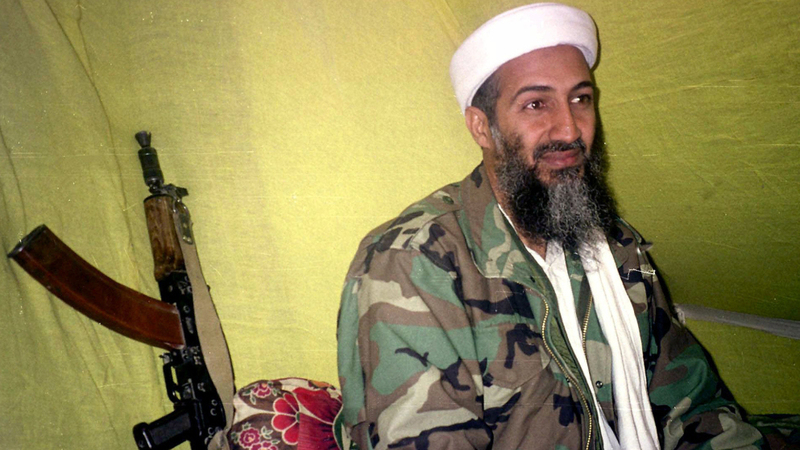 Osama Bin Laden's Will: $29 Million That Should Be Spent On 'Jihad' : Parallels A new batch of documents reveals the tension between his desire to micromanage al-Qaida's day-to-day operations and his fears he might be detected and killed by sending out directives. Osama bin Laden wrote in a will that he had a fortune of about $29 million and that he wanted it spent "on Jihad." The will was among more than 100 bin Laden documents released Tuesday by the U.S. government. The will was among more than 100 documents made public by the Office of the Director of National Intelligence. The materials were captured when Navy SEALs killed the al-Qaida leader in a May 1, 2011, raid on his compound in Abbottabad, Pakistan. This is the second batch of documents that has been made public. The first was released last May. Many more documents were seized but have not been declassified and released. The will was undated, but bin Laden said the money was in Sudan, where he lived for several years in the 1990s. He left Sudan for Afghanistan in 1996, just before the Taliban seized control of the country and welcomed him. "I hope, for my brothers, sisters, and maternal aunts, to obey my will and to spend all the money that I have left in Sudan on Jihad, for the sake of Allah," bin Laden wrote. In the will, he also specified smaller sums for relatives and associates. Media reports over the years have said that bin Laden was not able to take his fortune with him from Sudan. The will also refers to the Afghan cities of Jalalabad and Kandahar, where bin Laden and al-Qaida operated in the years leading up to the Sept. 11, 2001, attacks in the U.S.
Senior U.S. intelligence officials believe bin Laden's will dates to the 1990s. It was not clear how much money he had at the time of his death or what happened to it. Bin Laden's wealth came from his father, who ran the most prominent construction company in Saudi Arabia for many years. Most of the documents released Tuesday were from the final years of bin Laden's life and show a leader attempting to actively manage al-Qaida. One of his top priorities in his final days was exploiting the looming 10th anniversary of the Sept. 11 attacks. In contrast, U.S. officials frequently referred to bin Laden as "hiding in a cave" and cut off from the world. The bin Laden materials reveal the constant tension between his desire to micromanage the group's day-to-day operations and his fears that he might be detected by sending directives to al-Qaida operatives scattered across many countries. He was obsessed with secrecy and security and worried he could be killed at any moment. But he also took time to boast that he was able to evade U.S. detection for so long. "Here we are in the tenth year of the war, and America and its allies are still chasing a mirage, lost at sea without a beach," he wrote in a letter that was undated, but apparently written in the final year of his life. "We asked several times that they be let go so that they could go to Pakistan. Tehran did not respond to that, so maybe you could attempt to work on releasing them to the Waziristan area of Pakistan, where we can make sure they are all right there with these tribes," bin Laden wrote. -- He warned one of his wives, Khairah, that a bugging or tracking device could be installed in her mouth when she was receiving a dental filling in Iran, where she was under house arrest. "Please let me know in detail about anything that bothers you about any hospital in Iran or any suspicions that any of the brothers may have about chips planted in any way," he wrote. "One of the ways, the syringe can be of the same size, but its head is slightly bigger than normal, that way, as I previously mentioned to you, they can insert a small chip in it to implant under the skin. The size of the chip is about the length of a grain of wheat and the width of a fine piece of vermicelli." -- Bin Laden told a leader of al-Shabab, the radical Islamist group in Somalia, to attack French targets if Americans were not available. In addition, the group should execute a French hostage just before the country's national elections in 2012, an attempt to harm Nicolas Sarkozy, the president at the time. The group did seize French hostages, but did not execute them.